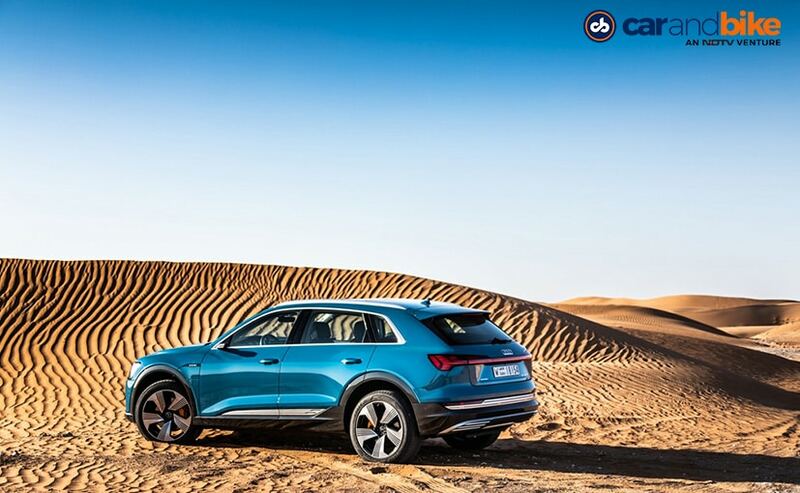 The all-new Audi e-tron electric SUV has been long anticipated and the car seems to meet some expectations. While it is a huge step forward for Audi, and promises to be the first of many EVs from the four-ringed Bavarian, is it enough? 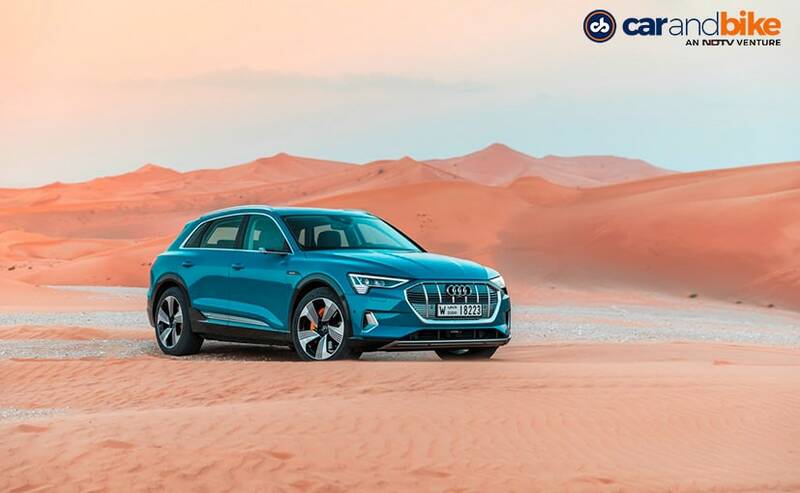 Audi's 'most important launch of the year' as a spokesman called it, was carefully choreographed: in 2015, the brand launched a concept car, followed by a Sportback derivative; over the year 2018, Audi organised ride-alongs and drives at various stages of development, and now we got to drive the series production version of the fully electric Audi e-tron. 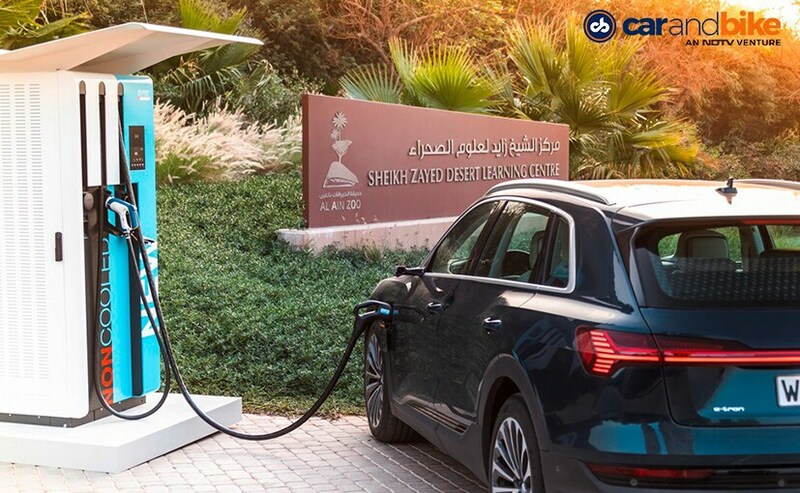 The event took place in Abu Dhabi, where winter temperatures are particularly comfortable not only for motor journalists, but also for lithium-ion batteries. The local terrain is varied: In addition to urban environment, there are highways with relatively high, but strictly monitored speed limits between 120 and 160 kmph; there are challenging sand tracks, and a mountain route that is one of to the most beautiful the Middle East has to offer: The road to Jebel Hafeet Park takes 21 bends from the ground level up to a proud 1240 meters. From the top there is a view of the thermal springs of the Green Mubazzarah - and the prospect of elevated recuperation rates on the downhill run. Part of the energy invested in the way up is regained and fed back into the batteries upon descent. 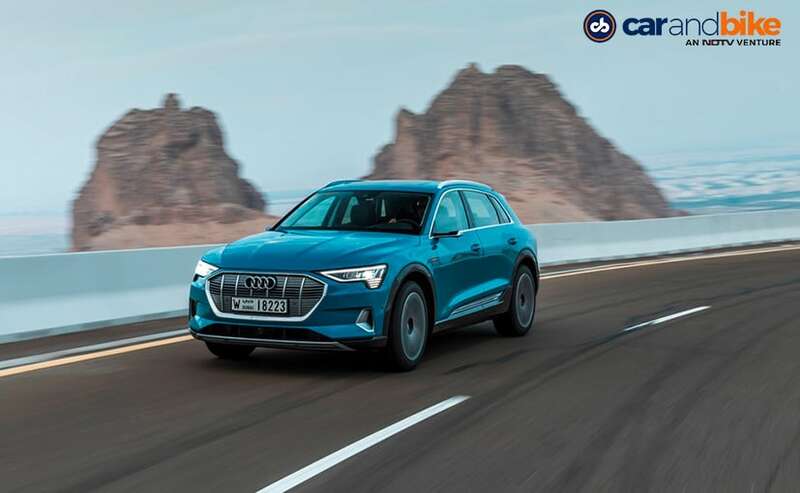 The production in the former Audi A1 plant in Brussels has already begun, and the models we drove display the high degree of perfection that can be expected from an Audi production car. The slight delays in the market launch are due to a new software release, which should improve the driving comfort. Speculation that there are difficulties in price negotiations with LG, the supplier of the battery cells, are denied by Audi. And they assert that battery prices will continue to decline in the future - an important narrative in the introduction of E-mobility that must remain unchallenged. From the outside, not much has changed since the 2015 concept: The e-tron, which delivers a drag coefficient of just 0.27, is proportioned like an extended Q5 - but it looks a lot different. From the toothy front end to the angular horizontal lines and a taillight strip that extends over the entire width, the e-tron looks impressive and is significantly farther removed from a Q5 than the rival Mercedes-Benz EQC model is set apart from the GLC, not to mention the electrified variant of the BMW X3. Although the e-tron is based on Audi's established MLB architecture, the changes are extensive. For instance, the Ingolstadt developers have completely changed the crash structure. The crash resistance of the batteries significantly exceeds the already legal requirements. 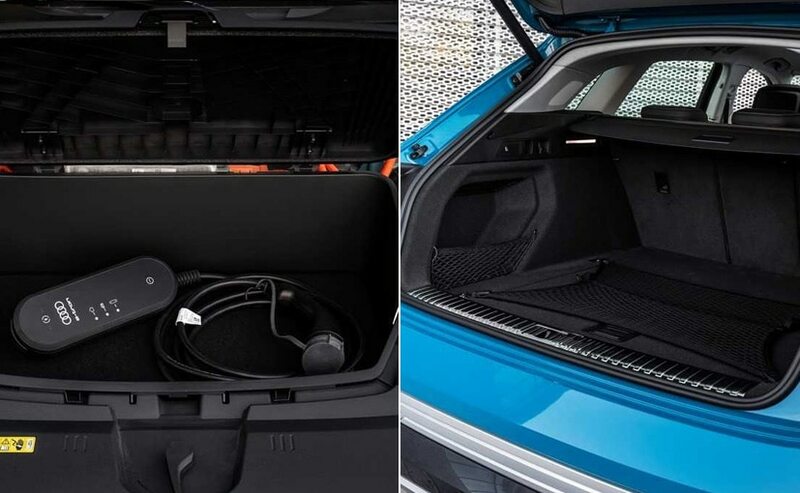 Compared to the Q5, the extended body has practical advantages: At a length of 4901 mm, the e-tron offers plenty of space for up to five people, with a lot of knee room for the rear passengers. Luggage space is quite generous with a rear 600 litres. Incidentally, there is an additional trunk under the front hood, affectionately known as "frunk". It is very modestly sized at an additional 60 litres and almost completely filled up by the included charging cables. Apparently, Audi does not expect this frugal space to be eagerly used: There is no unlocking button on the remote key nor in the interior; instead, you need to use a conventional hood pull. The interior and cockpit of the e-tron appear in a futuristic style. The horizontal dashboard is characterized by generous touch-sensitive glass surfaces. Materials and workmanship are of the highest order, and the four-spoke steering wheel fits the style as well as the wide gear selector. 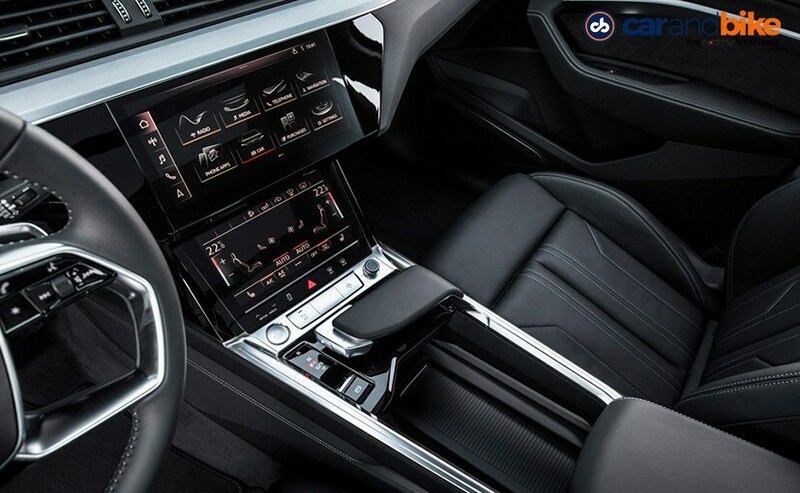 From the standpoint of aesthetics, it is regrettable that Audi left the large compartment in the centre console without any cover. Place your mobile devices, cables and other miscellaneous items aimlessly in the open space, and you may unintentionally add a chaotic touch to an otherwise ultra-clean cockpit. Directed from the cockpit is a powertrain that convinces from the start. Two electric motors, one on the front and and one on the rear axle, together deliver 353 bhp and 561 Nm of torque; in boost mode, the numbers climb up to 400 bhp and 664 Nm - for up to eight seconds. To use this mode, the "S" mode must be preselected via the selector lever - a superfluous gimmick because the e-tron has a kickdown pedal anyway. Step-off is brisk, and strong acceleration continues until above 150 kmph, when the torque seems to drop noticeably. The sprint from 0 to 100 kmph takes 6.6 seconds, or 5.7 seconds in "S" mode. At 200 kmph, the e-tron is governed. Consumption and range are a critical chapter: The e-tron is supposed to reach over 400 kilometres in the WLTP cycle, a figure that turned out to be completely unrealistic. In fact, on the first 186-kilometer run, we consumed over 75 percent of the available electricity. While lunching, the diesel generators were working at full steam to pump the e-tron to 100 per cent again. 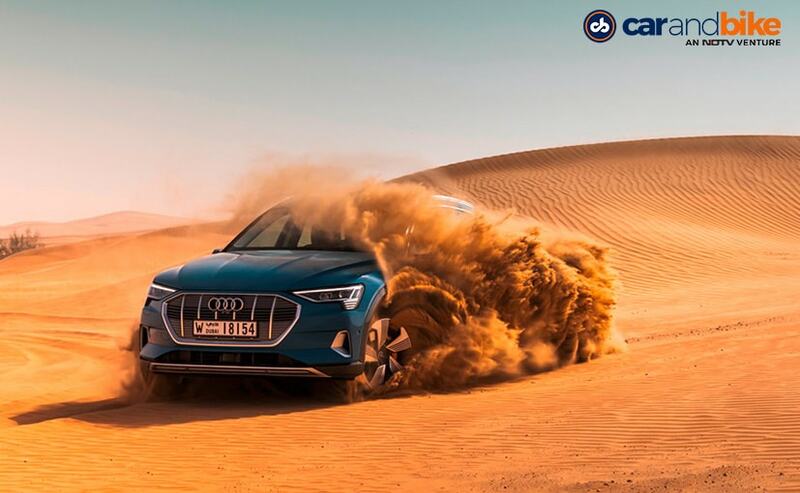 Yet the afternoon drive, which remained below 300 kilometres, would have ended with an empty battery on the roadside were it not for Audi's "Range" mode, which cuts heating and air conditioning and limits the maximum speed to a low 90 kmph. Of course, there are different options for charging, and the e-tron is even designed for inductive charging. It is a pity that this comfortable, albeit expensive and less efficient approach is not yet offered to the customer. Anyone who considers buying an e-tron should be aware that longer trips must be well-planned - and he needs to be prepared for hefty electricity costs and potentially long waiting times for recharging. Considering the hefty weight of 2490 kilograms, around 700 of which must be attributed to to the 95 kWh lithium-ion batteries, the handling is remarkably light-footed. With its variable power distribution and the precisely controlled ESP system, it can offer some sideways fun. Yet with its default understeering characteristics and considerable body roll, Audi has not put a sports car on the wheels here yet. And no off-road vehicle either; although the ground clearance can be increased by several millimetres. 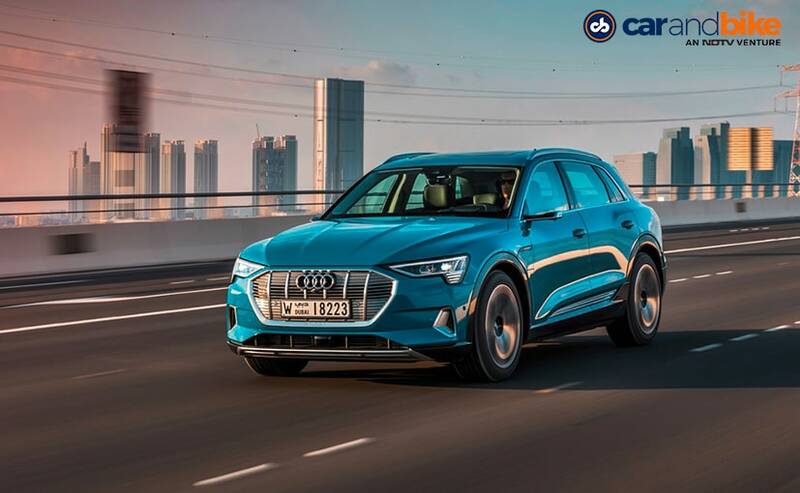 Thanks to that feature and the electronically controlled four-wheel drive, the e-tron comes relatively far, but there is only so much this architecture will allow. On the other hand, the comfort is top-notch at upper-class level. Spacious, comfortably air-sprung and very quiet, the e-tron glides across the street like a luxury sedan - well into high velocities. The electric motors are well encapsulated, suppress those pesky high frequencies. It is no small feat making an electric car quiet, especially given that counter-noise systems do not function reliably in the frequency spectrum of electric motors. 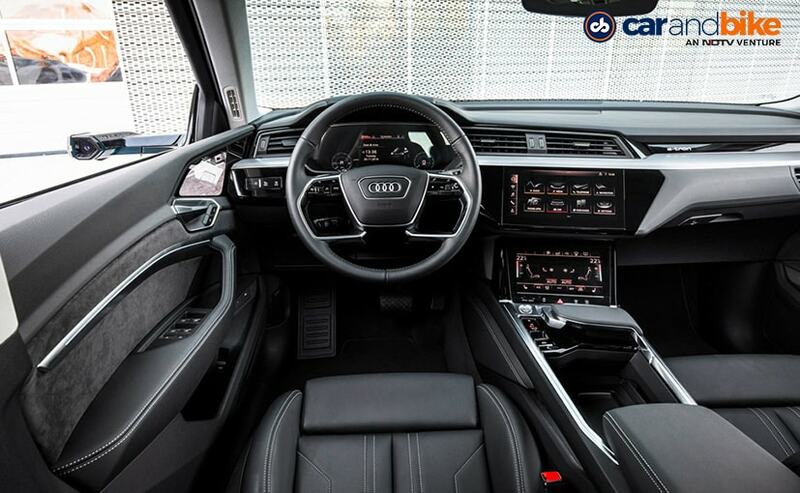 The Audi e-tron offers assistance systems of the highest standard, thanks to Audi's Modular Infotainment System MIB 2+. And there is a special gimmick: at additional charge, the conventional exterior mirrors can be replaced by cameras; at the same time, an image is projected in real time on screens in the front door panels. Unfortunately, the stylistic effect is less spectacular than expected, because the cameras are relatively bulky. And the projection is hard to get used to: The clarity and natural three-dimensionality of a conventional mirror is missing. 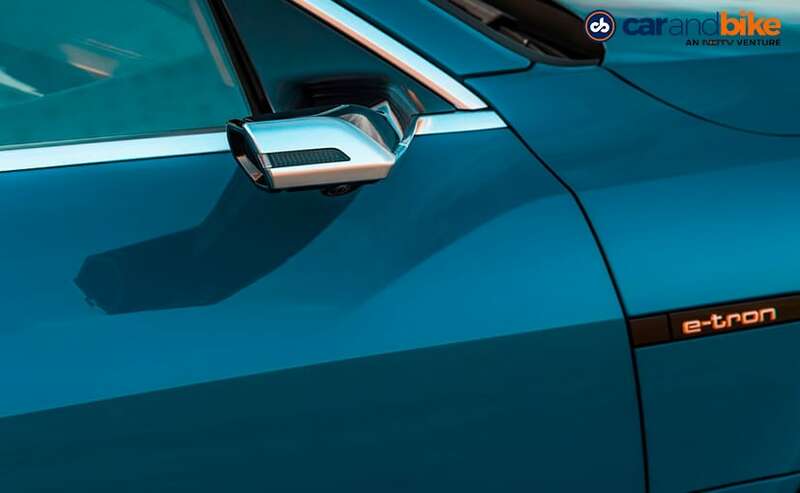 We would not spend any money on this extra, and we are not surprised Audi doesn't plan to roll these mirrors out across the model range. On its German home market, the starting price for the e-tron is 79,900 Euros. 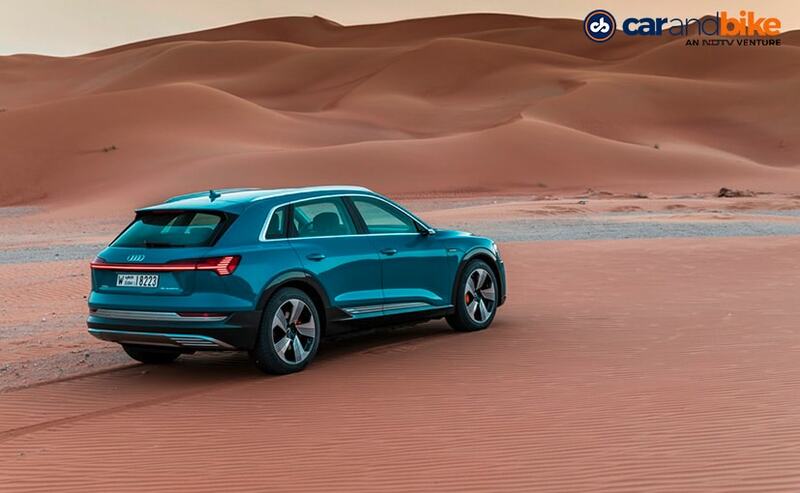 For this hefty amount that would get you, for instance, a top-level Audi Q8 50 TDI, it is already very well equipped, although the price can of course easily pushed up - for example, when the standard 18-inch wheels are substituted by 19- or 20-inch model or the beautiful panoramic roof is ordered. For the interior, Audi offers numerous attractive combinations as well. But the e-tron's real competitors are other electrics. 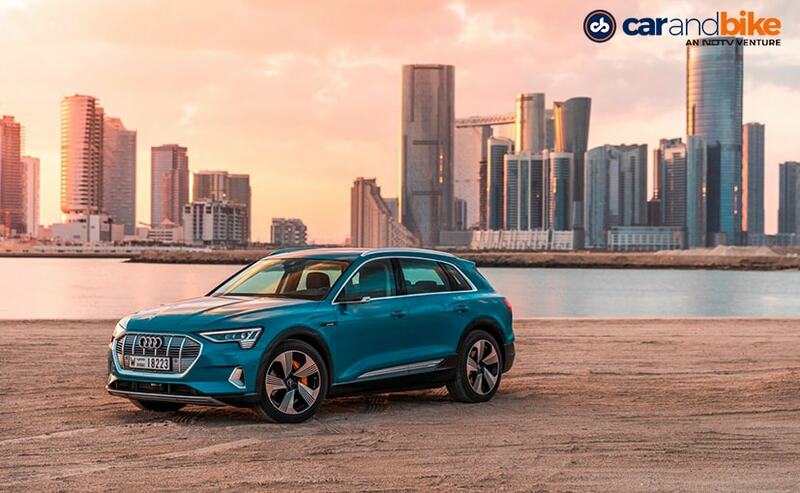 The most important of the Audi e-tron 55 Quattro are the Jaguar I-Pace EV 400 and the upcoming Mercedes-Benz EQC 400. From the USA comes the ageing Tesla Model S and the portly Tesla Model X. There will be more premium electrics down the road, not least an electrified BMW X3. And that's a good thing, because competition stimulates the business. 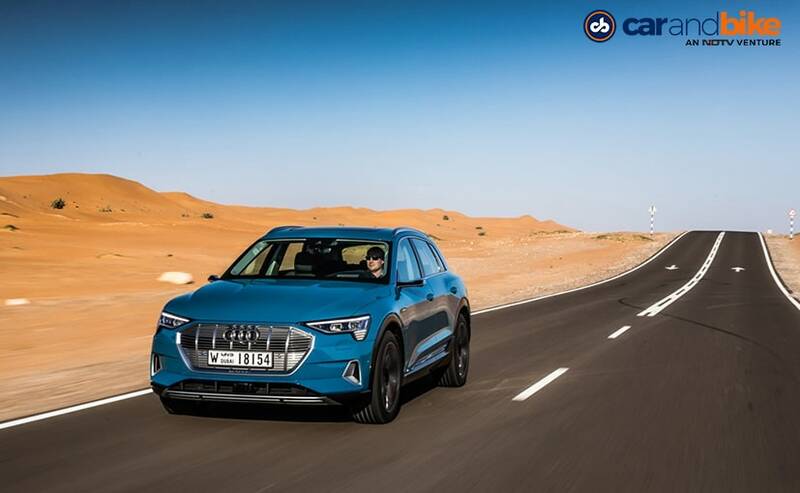 Given its real range and the problematic charging structure, one thing remains unchanged with the new Audi e-tron: A potential customer should know exactly what he is getting into with an electric car. The 'most important Audi of the year' doesn't change that at all.